Duke University Press, 9780822331414, 408pp. Chicana Feminisms presents new essays on Chicana feminist thought by scholars, creative writers, and artists. 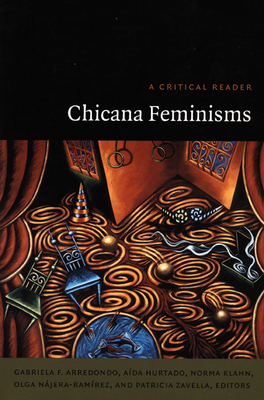 This volume moves the field of Chicana feminist theory forward by examining feminist creative expression, the politics of representation, and the realities of Chicana life. Drawing on anthropology, folklore, history, literature, and psychology, the distinguished contributors combine scholarly analysis, personal observations, interviews, letters, visual art, and poetry. The collection is structured as a series of dynamic dialogues: each of the main pieces is followed by an essay responding to or elaborating on its claims. The broad range of perspectives included here highlights the diversity of Chicana experience, particularly the ways it is made more complex by differences in class, age, sexual orientation, language, and region. Together the essayists enact the contentious, passionate conversations that define Chicana feminisms. The contributors contemplate a number of facets of Chicana experience: life on the Mexico-U.S. border, bilingualism, the problems posed by a culture of repressive sexuality, the ranchera song, and domesticana artistic production. They also look at Chicana feminism in the 1960s and 1970s, the history of Chicanas in the larger Chicano movement, autobiographical writing, and the interplay between gender and ethnicity in the movie Lone Star. Some of the essays are expansive; others--such as Norma Cant 's discussion of the writing of her fictionalized memoir Can cula--are intimate. All are committed to the transformative powers of critical inquiry and feminist theory. Contributors. Norma Alarc n, Gabriela F. Arredondo, Ruth Behar, Maylei Blackwell, Norma E. Cant , Sergio de la Mora, Ann duCille, Michelle Fine, Rosa Linda Fregoso, Rebecca M. G mez, Jennifer Gonz lez, Ellie Hern ndez, A da Hurtado, Claire Joysmith, Norma Klahn, Amalia Mesa-Bains, Olga N jera-Ram rez, Anna Nieto Gomez, Renato Rosaldo, Elba Rosario S nchez, Marcia Stephenson, Jose Manuel Valenzuela, Patricia Zavella.